The England Counties player is focused on helping Sedge put in a perfect performance as they aim to gain promotion to National One on Saturday afternoon. Birtwell and Sedge have been superb in National Two North this campaign and they are ready for the challenge of Chinnor as the National Two South outfit look to reach the highest level in the club’s history. “Chinnor are going to be up for it. They just missed out on the play-offs last year,” Birtwell said. The boards are going up and preparations are well underway for the @NCA Playoff @ChinnorRugby v @SedgleyTigers this Saturday. “They have got some pretty experienced players who have played some high-level rugby so I don’t think they will be phased by the occasion. They will be pretty calm and they will have that calming influence on the side. “They are on their home patch and they will feel like that will give them an edge and they will have a big support too. “They have invested heavily in their squad. I am sure they will be hoping to get the result they want because they have a desire to get into National One. They will chuck everything at us. That first 10 minutes of that first half will be exciting so we will have to absorb it all and come at them hard. 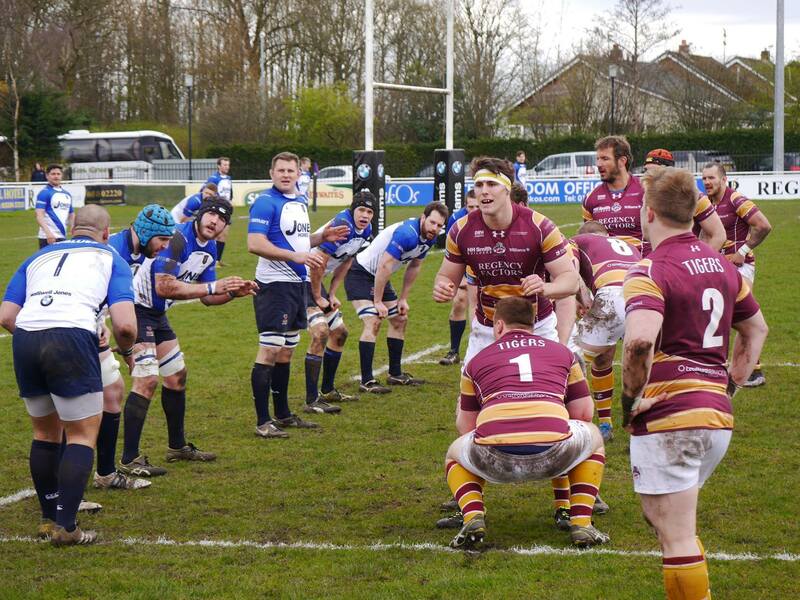 Our National Two play-off build-up begins with a look back at the season for both Chinnor and Sedgley Park plus a little history lesson in between. The second-row, who suffered an injury when Sedge last reached the play-offs in 2016, revealed that this current crop of players can learn lessons from their defeat against Old Albanian two years ago. “In that game, I think it came down to the fact that they had done their homework on us,” he said. “They marked our big ball carriers out of the game. I don’t think we paid them the respect and we didn’t do our homework on them thoroughly enough. While Sedge face a Chinnor side that has lost just twice in two years, the Manchester-based club travel down to Oxfordshire in fine fettle and with confidence oozing through their side. 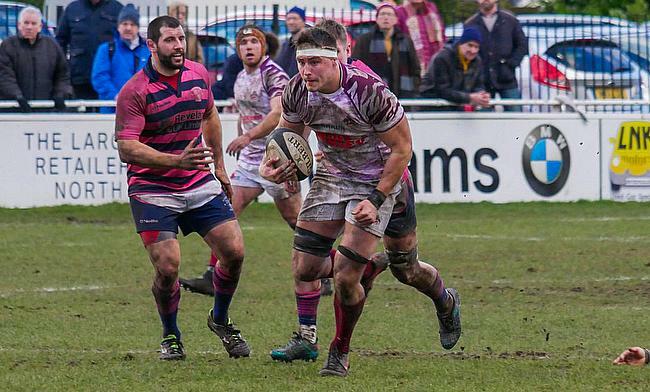 Matt Bebbington’s men surpassed 1000 points scored in their domestic campaign and they also racked up over 150 tries. It wasn’t as straightforward at the beginning of the season for Sedge as they lost five matches before Christmas, but since the turn of the year, they have won 14 of their 15 games. In their final eight fixtures, Sedge have averaged a total of 50 points per game and Birtwell admits the men from Park Lane are in a good place. “We had one blip against Stourbridge in February which was down to our own undoing,” Birtwell said. “But since then, we have won every game. We have beaten some good teams and we have put some big points on some good clubs. “We are pretty confident and that momentum counts massively when you come off the back of scoring 160 points in your last two games. We have scored some pretty incredible tries and we are playing some really good rugby. The main thing is that we are versatile. Might sound like a broken record but I couldn’t wish to play for a better club! Hell of a season…. I’m forever indebted to @SedgleyTigers! Big week coming up! Wouldn’t bet against us ? And after producing some scintillating rugby over the last eight months, Sedge now have a chance to return to National One for the first time since 2013. “It would be awesome,” Birtwell added. “We were there [National One] a number of years ago and we have been knocking on the door to gain promotion again. “Having seen other teams around us like Caldy and Macclesfield do it and now Sale FC do it, we are keen to join them. We want to get up there and we want to stay up there.